Hailing from a small village called Cedros in the southern tip of the eastern Caribbean island of Trinidad, Tony Paul made his way to Minneapolis as a student attending Augsburg College in the 70’s. 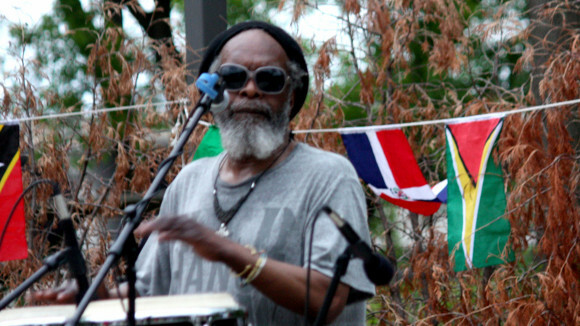 Since his arrival he established himself as a pillar in the twin cities Caribbean music scene. His musical interests are far reaching from American folk to Caribbean music and funk. Playing with a number of bands over the years including Simba, Ipso Facto, and Shangoya, Tony currently plays weekly with the Liquor Pigs and The International Reggae Allstars. Tony Paul’s musical mission isn’t limited to the live music realm, he is also a well known personality as the host of The Shake & Bake Show which airs weekly on KFAI (90.3FM) on Mondays from Noon to 2:00pm. Tony showcases current and classic cuts from around the world and is responsible for introducing many artists to the twin cities.